Contact our friendly team and have a beautiful website in 5 days! Interest in Plan A, Plan B, or $299 Special?  Elegant Web Studio started in 2008 and had one goal from the beginning: Create for our customers a beautiful website at an affordable fee. We are convinced that no other web company even comes close! Why are your website fees so much lower than the other guys? Quick history will give you the answer... Prior to starting the company in 2008, our owner was looking for a website developer who wanted $3,000.00 to build a simple website for him. Our owner thought the price was a ripoff so fought back by creating a website company where the sites were beautiful AND the fees were not a ripoff. With 100's of happy & satisfied customers over the years, the success of Elegant Web Studio continues to this day. Why is Plan B America's best website package? We'll also throw in free hosting and free complimentary website updates for you! All of this at a crazy low fee! Serious, will my website be ready in 5 days? Since 2008 we have NEVER (meaning NEVER) missed a deadline for a customer's website. Trust us when we say that your site will be ready to go live on the internet in 5 days! Why should I choose you guys over the others? When you compare our 5-star customer service, our beautiful websites, our ability to get you on the 1st pages of search engines, and our incredibly low fees, there's no comparison! We simply are better. Simply fill out the form or give us a call at (800) 543-4215 and we'll have a beautiful website for you within 5 days!